With the holidays just around the corner, there are going to be tempting foods and beverages hitting the dinner table and gracing party spreads. This can pose a real challenge with patients who rely on full or partial dentures. 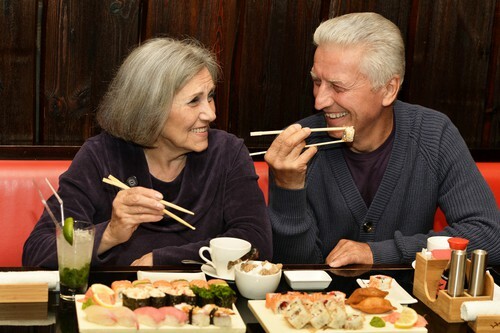 My Kettering dental office knows that some foods (no matter how tempting) just don’t mesh well with dentures, and we try to get patients to steer clear of them to avoid possible pain or discomfort. We ask denture patients to try and keep these things in mind when deciding what snacks you’re going to have. Your dentist in Kettering knows it’s not always easy to have denture-friendly snacks and beverages on hand, especially if you’re traveling for the holidays. Here are a few foods it’s best to avoid or limit. Nuts: These delicious treats can be tricky to eat when you have dentures. Pieces of nuts can get stuck in full and partial dentures causing discomfort. The team at my dental office in Kettering wants you to be comfortable living with dentures. It’s just a matter of taking the time to make them work for your and your lifestyle. Sometimes accidents happen and problems are unavoidable, but watching out for troublesome foods and drinks can be a big help to avoid any issues. If you have any questions about denture care, please don’t hesitate to give us a call!